The use of barcode scanners can reduce shrinkage and improve inventory accuracy in your business. Shrinkage may be caused by many things: theft, spoilage of perishable items, or mistakes. 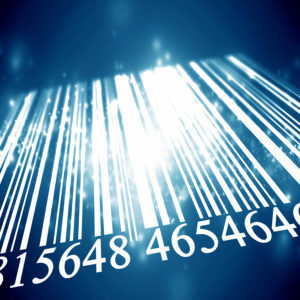 Barcode scanners help reduce mistakes by automating the inventory process. Automation improves inventory accuracy and reduces manual counting errors. According to the National Supermarket Survey, often used as a bellwether in the area of shrinkage and loss control, 64 percent of losses are due to operational issues compared to 36 percent due to theft. In other words, problems in how a business is managed—and how inventory is managed—account for the majority of shrinkage problems reported by supermarket retailers. You’re not selling milk or soup, but what you are selling is also subject to shrinkage. And, according to the same survey, operational-caused shrinkage is often due to human error. Manual counting, for instance, opens the potential for many mistakes and under-reporting of inventory, leading to incorrect data and a higher shrinkage percent. Spreadsheets are often used with manual counts and these are notoriously prone to errors. Making one typing mistake can lead to inflated inventory counts or errors that can be carried throughout a report. This derails your best efforts at inventory accuracy and makes it quite difficult to obtain a proper inventory count. Like retailers, manufacturers often put into place loss control methods to avoid theft from their warehouses. This includes security personnel who monitor people moving in and out of areas where products are housed, as well as surveillance cameras, electronic warning devices that beep when moving out of authorized areas, and other loss-prevention methods. But what if barcode scanners can be used as a theft deterrent? Many experts have noted that the risk of getting caught can outweigh a thief’s need to steal. For instance, thieves target homes and businesses without surveillance cameras or guards, for instance, because they are less likely to get caught. When your warehouse uses barcode scanners, thieves know that the inventory control is watched carefully. You can spot shrinkages almost instantly, as well as shrinkage trends that can indicate something inappropriate is going on in your warehouse. If you notice that one item keeps coming up short, you can investigate who has access to that item, and when the inventory levels change. That may provide you with clues about who is responsible for the shrinkage. There are several best practices retailers and warehouse managers can use to reduce shrinkage. Using automation, such as barcoding software and barcode scanners, can help you implement these best practices. Use the rule of three: Order only what you can sell within three days. If it’s there longer, it’s tempting to steal. Use the data from your inventory management system to reorder products selling more briskly and to hold off ordering slowly-moving products. Investigate losses immediately: Use your inventory data to spot losses that are unaccounted for and investigate them immediately. If your staff knows you’re on top of things, they’re less likely to give in to temptation. Incorporate scanning and product IDs: The more you can automate inventory control, the better. Scanning unique product IDs with barcodes makes it easier to track every item, down to the last detail. Although it may be impossible to achieve 100% inventory accuracy, you can certainly take steps to reduce losses and shrinkage through the use of barcode scanners and other technology. IWI’s Barcode Scanning Module for Sage 300 offers a web-based solution to improve inventory accuracy and streamline warehouse operations. With the accuracy of barcode scanning, you can achieve your goals for better warehouse management, reduce losses, and enhance operational effectiveness. IWI Consulting Group helps Canadian businesses and non-profits choose and adapt the best enterprise resource planning (ERP) software for their needs. Small to mid-sized companies will find the help and resources they need to choose the right software at the right value. For more information, visit IWI Consulting Group or call 1-866-916-3851.